Hello readers, here is the latest update from our office at FastKlean Cleaning Company London. Yesterday we received a phone call by the manager of a business company in Barking asking for a quote for our carpet cleaning service. 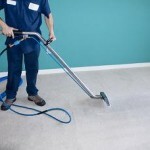 If our price meets their budget and we’re given this job then our professional cleaners will perform carpet cleaning services in two showrooms that have giant carpets of approximately two-hundred square metres. We’re confident that our carpet cleaners will do an excellent job that will make these showrooms all the more impressive to customers. They will use state of the art equipment and environmentally friendly cleaning products to lift out any dirt and restore the carpet’s original colour. If you’re a business manager and your building is in need of commercial carpet cleaning, or indeed, if your home is in need of domestic carpet cleaning then give our customer service a call on 020 8884 9149 for further information and a free quotation. Our carpet cleaning prices are very affordable and competitive.